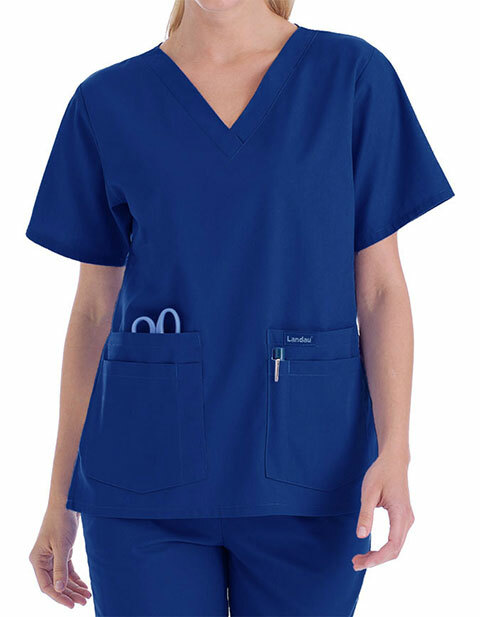 Look good and feel better in Landau Trends women's four pocket v-neck nurse scrub top. Crafted with precision, the top is destined to give you a flattering silhouette. Featuring a V-neck for a contemporary look, four-inch side vents aid in mobility while short set-in sleeves keep you comfy all day long. Moreover, the four patch pockets deliver ample space to carry and quick reach to grab your accessories making your service more efficient. 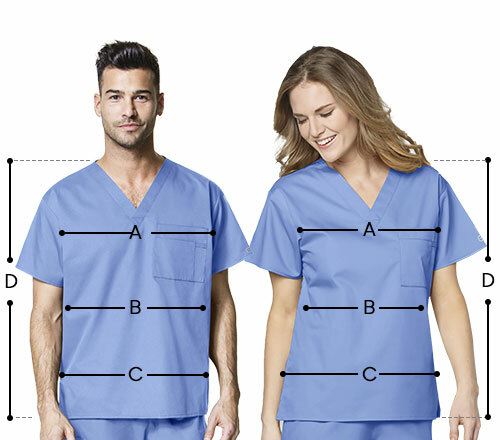 This scrub top comes in amazing colors! I particularly like the AquaBreeze because it looks terrificly clean even after a long shift. I love the right blend of comfort and durability in this top. The fabric is great. It is neither thin nor too thick, just the way I need it. The fit though is a little too roomy for my type, but none the less, this is nice. This top is a wise buy. For its price, the quality is truly nice. I like its colors too. My only concern is that the fit doesn't flatter much. Q ) Do the shirts fit large like the pants do ? Q ) Do all the colors from style to style match up ?